The second song in Abbey Road's long medley, Sun King was written by John Lennon. It was recorded back-to-back with another of his compositions, Mean Mr Mustard. That's a piece of garbage I had around. Although Lennon most likely got the title from The Sun King, Nancy Mitford's 1966 biography of the French King Louis XIV, the song descends into cod-Spanish, Italian and Portuguese nonsense, with the odd English phrase thrown in. When we came to sing it, to make them different we started joking, saying 'cuando para mucho'. We just made it up. Paul knew a few Spanish words from school, so we just strung any Spanish words that sounded vaguely like something. And of course we got 'chicka ferdi' – that's a Liverpool expression; it doesn't mean anything, just like 'ha ha ha'. One we missed: we could have had 'para noia', but we forgot all about it. We used to call ourselves Los Para Noias. Sun King, which allegedly came to Lennon in a dream, opens with the sound of bells, bubbles and chimes – part of the crossfade joining the song to the end of You Never Give Me Your Money. A guitar passage then begins, influenced by Fleetwood Mac's 1969 instrumental hit Albatross. At the time, Albatross was out, with all the reverb on guitar. So we said, 'Let's be Fleetwood Mac doing Albatross, just to get going.' It never really sounded like Fleetwood Mac... but that was the point of origin. Part of the song's middle section was reversed and retitled Gnik Nus on the 2006 album Love. Sun King's guitar intro also appeared at the close of Octopus's Garden on the same album. Under the working title Here Comes The Sun-King (later truncated due to its similarity to George Harrison's Here Comes The Sun), The Beatles began recording Sun King/Mean Mr Mustard as one on 24 July 1969. They taped 35 takes of the basic track: Lennon played rhythm guitar and sang a guide vocal, McCartney played bass, Harrison was on lead guitar and Starr on drums. The next day the group overdubbed vocals, piano and organ, the latter played by George Martin. They then finished the two songs on 29 July, with the addition of more vocals, piano, organ and percussion. George is singing harmony vocal also. Nice to see I got their intention right. i really wish they would have kept the title Here Comes The Sun King! As many great songs on this classic album that there is, Sun King is by far my favorite song. I like everything about it from beginning to end. Yeah, it’s a “throw-away” song by Lennon…but it’s a beautiful piece of work. Well-thought-out opening guitar part (Harrison’s genius) as well as beautiful harmonies. One of my favourites off Abbey Road, peaceful and relaxing. Although, as DoBotherMe says, I’m pretty sure George sings a harmony vocal. My absolute favorite Beatle song, just so chill. This is one of the curious Beatles songs, with an almost non-sense ad-libbed 5 idioms random ending. Also, with guitar panning, i love panning, the beatles didn’t use it too much but in many songs, like A Day In The Life, Little Child, Tommorow Never Knows, Back In The U.S.S.R., Revolution 9, maybe because stereo was only beginning and panning also was starting. The loops are from “You never…” transition. The piano atributed to Paul is for “Mean Mr. Mustard”, because the songs were recorded as one. Lewishon said there were piano, but Everett said it was John who played it. One more time, “…Pam” and “Bathroom” were recorded as one, and Lewishon said electric and acosutic pianos as well as assorted percussion were overdub, but didn´t mention who played what. If you’re going to make assertions like this, please also provide a reliable source. I’ve just listened to the Fly on the wall disc of Let It Be… naked and then I asked myself, is it possible that Don’t Let Me Down and Sun King because there is the melody of Sun King and then John sings Don’t Let Down, and he goes on with Don’t Let Me Down, and then it sounds like a mix of both song, and in the booklet is “CONVERSATION then Sun King (0.17) and then Don’t Let Me Down (0.35). I’m not really sure what point you’re trying to make. Care to elaborate? I think john’s guitar, although mainly a rythm guitar in this song, also plays a lead guitar line, because in the beginning I hear two guitars, at first the opening riff which goes through the whole inteo with long breaks between it, the the fuzz bass and finally a second guitar possibly played through a leslie amplifier which at first plays a line and then chords comes in. Then the vocals come in and I think the second lead guitars which played chords in the end of the intro becomes a rythm guitar. Is the third instrumental line in the intro really a second guitar or is it the organ? Has anybody noticed that the crashing chord that accompanies the vocals (the first “ah…”) is the same Gsus4 that launches “A Hard Day’s Night”? I love this one. Everybody is so into the George songs on this album… and I understand that. They do hit hard and are sort of a celebration of his skills as a writer coming into competitive ranks with the others. But yeah, props to George and well deserved, but my favorite tracks are the Lennon ones. Because, and This One. I get that he might not think much of it. Maybe because he favored the songs where he had something to say with the words and concept. Where they could stand alone. So this song may be lacking some meat in that department. But I really love the relaxed mood and tones of the thing. So very relaxed and relaxing though John didn’t love it. 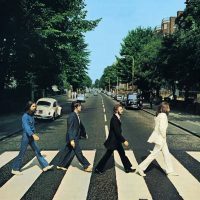 The final “scherzo”(joke) means nothing but they were having fun together still in 1969 and while working hard on an important release like “Abbey Road”. Gian Felice Italian fan. I love this song, even if John dismissed it. It has that same ecstatic stillness and beautiful 3 part harmony that Because has. John’s Leslie-treated, finger-picked guitar part is great–same fingerpicking pattern he learned from Donovan and used on Julia, Dear Prudence, Happiness is a Warm Gun, Look at Me, Steel and Glass… The lead fills and organ fills are beautiful. Great bass part. And the ersatz Italian/Spanish is a kick. The whole the sounds like a great band having a good time. Nothing too fancy or baroque. Just a nice song arranged and performed beautifully. Oh and I think it’s a G9 chord in this one, not the famous AHDN chord. IMHO. I’m glad you mentioned the fingerpicking on this song. I never see Sun King listed as a song in which John used that technique, and in every cover I’ve seen people just arpeggiate the chord with a pick. The alternating bass notes(especially clear in the isolated track from the Rockband multi-tracks) make it clear that this is how the rhythm was played. He also used it for the rhythm on Octopus’s Garden, but I’m sure you knew that. John also plays the exact same finger-picking pattern on Yoko’s song Remember Love, the original b-side of Give Peace A Chance. I’m surprised no one has mentioned this yet but isn’t this supposed to be a weed song? I’d read that the “Sun King” is referring to a joint being passed around, and “everybody’s laughing, everybody’s happy”. Am I wrong? This is the first time I’ve heard this, so it’s not probably a reliable quote. You can interpolate that as much as you want, but you might as well be on acid. Hello, The Sun King is the most beautiful melody that made the nocturnal peace that precedes the new day begins with the chirping of a cricket. It seems that suddenly end due to continue with the next song united group songs. Hola, The Sun King es la mas hermosa melodía que hicieron, la paz nocturna que antecede al nuevo día empieza con el chirrido de un grillo. Parece que debió terminar súbitamente para seguir con la siguiente canción del grupo de canciones unidas del disco. Exquisite, achingly beautiful guitar work. did anybody notice the crickets? top 4 or 5 of my favorite McCartney bass lines; weaves in and out. Just beautiful, no pyrotechnics, every note so just right. And in my opinion perfectly recorded. I would love to know exactly how they miked or main lined him. Such a beefy full sound. The Rickenbacker I would guess? No idea. I always thought John wrote this song about George because he was most of the time smiling and happy. And the rythym and emotion of the song are total opposite of Here Comes the Sun. For me is just a lovely melody with a nice title. Words are just decorating there. I still haven’t seen any discussion of the odd wording: listening to the isolated audio they very deliberately say “here COME the Sun King” and not the expected “here COMES the Sun King”. While certain dialects of English may use a bare verb root without inflecting it for 3rd singular, and although we might see that sort of dialect represented in more bluesy songs, it’s not at all something we would expect to hear in this particular song. Just very odd, and I wonder if there’s anything behind it besides possibly differentiating it from “Here Comes the Sun” or just being odd for odd’s sake. Thoughts?